There are luxury cars and then there is the turn hugging, 0-60mph in 2 seconds precision of a Porsche. There is a reason that drivers of all generations have gravitated towards Porsche and it is in the tiny details that add up to an endlessly satisfying driving experience each time you get behind the wheel. With such a unique and recognizable driving experience however, it is easier to notice small shifts and changes in the vehicle’s handling or performance, which can help lead to faster diagnoses of issues or alert the driver that it may be time for a routine service appointment or regular maintenance to correct even the slightest changes. 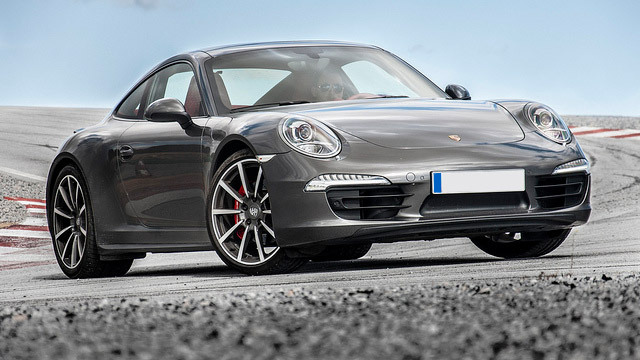 The experienced, certified specialists at Mike’s Foreign Car have been providing dealership level service and maintenance to Porsche vehicles for over 30 years and have seen both the changes in technology and design along with the constants that have allowed Porsche to build and maintain the reputation they have earned as unrivaled luxury cars. By offering more personalized service than a dealership, our specialists are able to make sure that your car receives the maintenance that it actually needs while avoiding unnecessary and costly add-ons that other mechanics may try to include without you noticing. Our specialists’ passion for automobiles helps us to understand how each car should look and more importantly feel, so if there is an issue, no matter how small it is, our staff of specialists will be able to find and diagnose it with the latest, factory level diagnostic equipment, also performing any repairs that it may need to make sure that your car drives like you expect it to and looks as good as new at the same time. For drivers in Anaheim along with in the Yorba Linda, Anaheim Hills, Fullerton or Placentia areas, Mike’s Foreign Car offers the maintenance that your Porsche needs, with the same level of care it would receive at the dealership but with a much more personal touch and attention to detail when it comes to repairs that your car actually needs. Call us at 714-604-2369 to speak with one of our specialists or to schedule an appointment for service or repairs for your Porsche and make sure that it gets the best care available. Porsche Repair received 4.5 stars out of 5 based on 70 reviews on Yelp.